Out: Milesy (sorry mate), Higgins. How's his foot? He was very sore after the game. Anyone got further news re injury to Oleg Markov? We'll await the club injury report. It looked like a medial ligament from afar which is a 4 to 6 week injury but I might be completely wrong. Daniel Rioli strongly pushed his case for selection in Richmond’s Round 13 senior side against Geelong at the MCG on Sunday with a lively display at VFL level yesterday. The quick, slick small forward was one of the team’s best players in the narrow loss to Williamstown at Burbank Oval, finishing the match with 18 disposals, 10 contested possessions, four handball receives, three tackles and two goals. In his second full game back from the broken foot he sustained during the last quarter of the Tigers’ 2017 Grand Final triumph over Adelaide, Rioli moved smoothly throughout and created plenty of opportunities for teammates with typically clever play. Another premiership Tiger in Jacob Townsend also boosted his chances of a return to the senior line-up with a strong performance yesterday. Townsend had 16 disposals, took four marks, kicked two goals and was at his defensive-minded best, applying 11 tackles. ON THE BLOCK: Callum Moore will struggle to hold his spot after battling to get a touch on Friday night and Connor Menadue hasn’t taken his chance at senior level. They seem the two obvious outs but Kamdyn McIntosh could also be under the pump after just 17 disposals in his past two games. David Astbury looked in all sorts of trouble when he was helped off by trainers with an apparent leg injury in the first half against Port Adelaide but he returned after halftime and played out the match. ON THE CUSP: Tiger fans and SuperCoach players will be praying Dustin Martin is fit after spending the weekend in New Zealand. Damien Hardwick said if the Port game had been on Sunday Dusty would have played which is a positive sign, but he has to get through training this week. Daniel Rioli appears ready for his first senior game since breaking his foot in the Grand Final after kicking two exciting goals in the VFL yesterday (he limped off the ground in the last quarter but returned). Corey Ellis (28 disposals) is still banging on the door and Jacob Towsend (two goals, 11 tackles) is ready if needed. 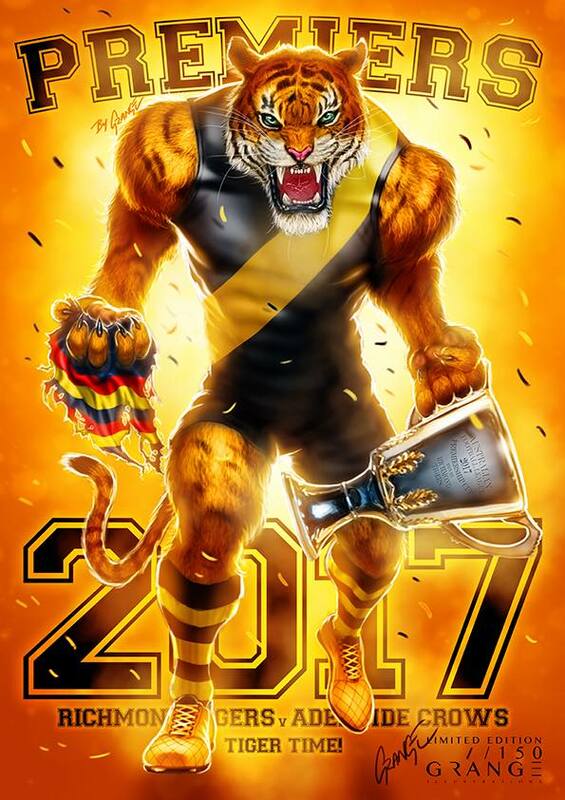 AL PATON’S FORECAST: Any thoughts the Tigers will give Dusty a leave pass until after the bye went out the window with Friday night’s loss. Sunday’s clash against the Cats is massive and Richmond needs to win to stay safe in the top four. 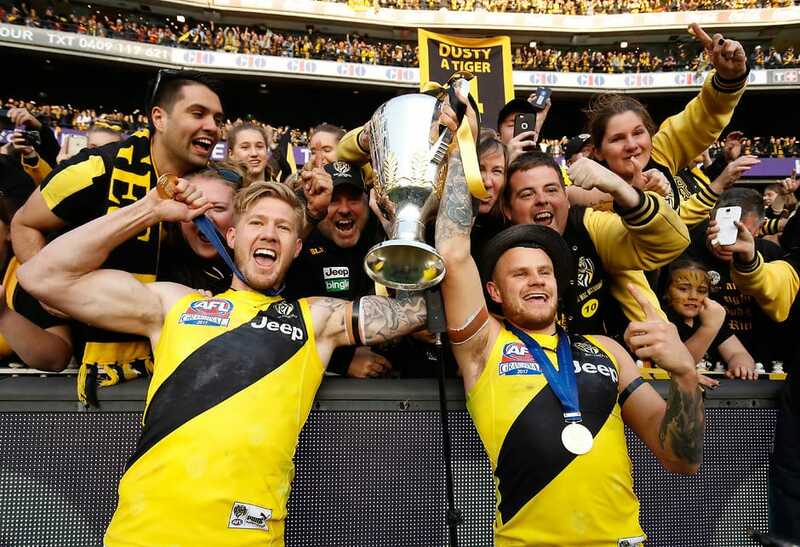 The Tigers won three of four quarters against the Power but lost the contested possessions by 34 which won’t cut it against Geelong, which will have done some homework after being undone at the MCG in last year’s finals. Martin and Rioli would be two pretty handy inclusions. Ins- Dusty, Stengle, Townsend, Rioli and Bolta. And if Astbury doesn’t come up but I think he will, Garthwaite to come in. Has Hardwick ever made more than two or three changes without it being forced upon because of injuries? I can’t even remember him dropping players when we were getting thrashed. Will he drop players who were putrid last week? I doubt it because it’s not his style. Conca is a liability but won’t ever get dropped. Macintosh has been woeful but continually gets games, maybe he would be better suited in theforward line as a high flanker? Butler was putrid in Adelaide but won’t get replaced. I’d bring in Stengle which will keep them both hungry, best performed plays finals simple. BEllis should be on a wing but with Houli out we have to put up with him pootting himself and his opponent clicking four. If it were up to me he’d wouldn’t be in the team at all but I’d still rather see him on a wing and I’d tell him if he doesn’t kick it over 40 metres forwards each time he gets it he wouldn’t be playing next week. He should be kicking goals from outside 50 with that foot. If you could combine all the best attributes of both Conca with BEllis you’d almost have an excellent player unfortunately we have what we have. 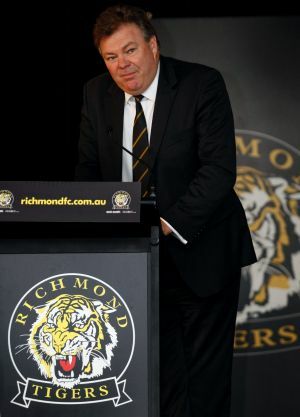 Get them in: Daniel Rioli is now officially banging down the door now. He had 18 disposals (10 contested) and kicked two goals against Williamstown on Sunday. Also, Jacob Townsend and Corey Ellis impressed while defender Ryan Garthwaite is on the cusp, and of course, they have a handy player called Dustin Martin to bring in as well while Jack Graham is fresh after a week off. Under the pump: Callum Moore was subdued against the Power while Connor Menadue didn't have a heap of it. Anthony Miles had 20 touches without starring in his first AFL game for the year but will come under pressure particularly if Martin is available or Graham is recalled. Dan Butler was also quiet and has Rioli circling to steal his spot. Medical room: David Astbury played out the Power loss with a sore ankle and will be tested but looks up against it. Nathan Broad reportedly has a sore back and will be managed this week while Martin is set to return after resting his calf. Sam Lloyd is likely to miss after being handed a two-match VFL rough conduct suspension, downgraded to one with an early plea. Verdict: The Tigers' third loss could spark some changes. Rioli and Townsend to be recalled, Moore and Butler in trouble. The return of Martin and Graham to the midfield will see Miles and possibly Menadue out, while Garthwaite is ready to go if Astbury doesn't get up. Again think butler and mcintoshs form this season has long warranted a spell in the twos with Bolton/Stengle coming in and whoever the best performer in the 2s is which I guess from last week would be CEllis. Also don’t think Broads form has been particularly strong this season and since we’re generally playing an extra tall down back would consider bringing in an extra runner/mid for him.